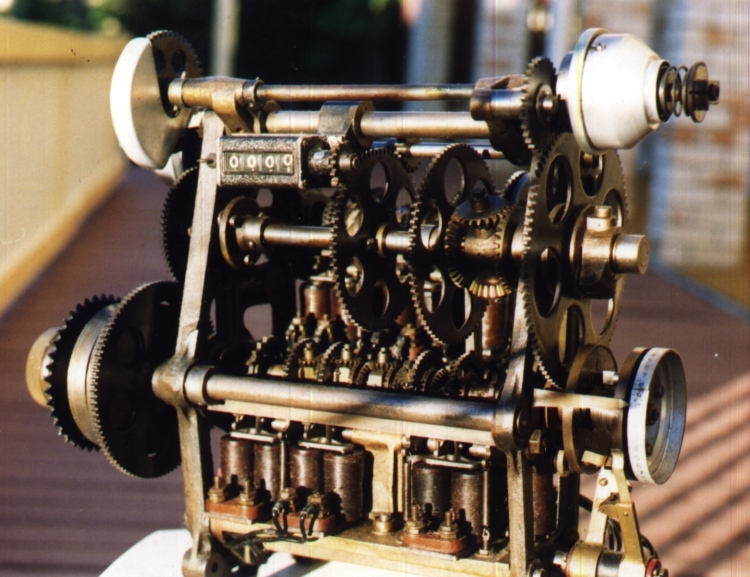 This website relates to the history of the automatic totalizator, its invention in 1913, the inventor George Julius and the Australian company he founded in 1917 Automatic Totaliastors Limited. This company became a world monopoly in this field and later became part of an oligopoly. It also relates information about George Julius' engineering consulting company Julius Poole and Gibson. George Julius has a wider significance in Australia where he is regarded as a nation builder. He was knighted for his contribution to Australian technology. There is a school of thought that these early Australian totalisators were the world's first computers. Doron Swade writes in his New Scientist magazine article dated 29 October 1987 titled A sure bet for understanding computers with reference to the London Science Museum: The Julius totalisator with its automatic odds machine is the earliest on-line, real-time, data processing and computation system that the curators at the Science Museum have identified so far. The system is an extraordinary achievement both in terms of engineering design and information processing. A part of the precept for this site was that it cost nothing. No web creation or html editing tools were used except for a short trial of early freeware html editing tools to see what was being missed. The html has been manually written using a text editor or simple word processor. I have made no attempt to change the look of this site to make it conform with the 21st century. It is deliberately left looking like a mid 1990s web site when the WWW was just blossoming in a sea of anonymous FTP servers. I think it is appropriate that it represents the past as this is after all a history site. One concession I have made to modernity is less restrictive use of images as well as increasing their resolution. Let us not forget that when this website was first established the Internet Service Provider disk quota for a website was 5 Megabytes. At the time of writing this sentence, December 2013, ISP disk quota is 1 Gigabyte. The other factor limiting number of images and keeping resolutions low was the bit rate of the link with the ISP. My first Internet connection was with a V.32 9600 BPS modem. Comparing this with ADSL2+ we have gone from 9.6 KBPS in the mid 1990s to in excess of 20,000 KBPS in 2013. This Web Site will have particular appeal to two groups of people. Firstly, those who have an interest in history and in particular that of technology. Anyone who knows something about the history of computing knows of Charles Babbage. What is little known is that mechanical engineering gave the world a highly successful machine used around the world that implemented mechanical and later electro-mechanical computation in the form of the totalisator. Babbage aficionados will probably be pleased to know that Babbage's ingenious mechanical designs, probably inspired by dreams of mechanical computation, was a subject that was realised 42 years after his death. Mechanical computation led to a global industry of behemoth mechanical and later electromechanical mainframe machines. These were probably the world's first large scale real time multi user systems. One was tested in Sydney in 1920 capable of supporting 1000 terminals and a sell rate of 250,000 transactions per minute, good by standards 9 decades later! These were not a theoretical machine or some form of science fiction, something easily concluded when looking at some of the photographs, they were manufactured, had widely spread installations in many countries and were operated and developed over decades. Generally they had much longer lifespans than the computing systems of today. The system installed in Longchamps France in 1928 with 273 terminals operated for 45 years before being replaced by a computer system. The system installed in Caracas Venezuela made it to the half century mark. Working on the principle that a picture is worth a thousand words I suggest that readers in this category have a look at the Photo Gallery + Synchronicity and the Photo Gallery continued chapters by following the links in the index provided above. If this generates an interest there is plenty of relevant historical content in this site to wade through. For those interested in the history of digital computers prior to the advent of the Microprocessor, there is a chapter relating to component level maintenance of PDP11 based totalisators which can be viewed by following the link Computer Tote Maintenance (technical) in the index above. Secondly, those who have an interest in the horse racing, trotting and dog racing industries and the totalisators that they are so linked with. I find it curious that, for a nation that stops for a horse race, The Melbourne Cup, and for a nation where most of the citizens know what a TAB is, that Australians know so little of the rich history of the automatic totalisator . Sir George Julius, the founder of the Australian companies Julius Poole & Gibson Pty Ltd and Automatic Totalisators Ltd, invented the world's first automatic totalisator , which was installed at Ellerslie Racecourse in New Zealand in 1913. Automatic Totalisators grew to be a monopoly exporting totalisator systems throughout the world and was sold to another once great and large Australian technology company AWA (Amalgamated Wireless Australasia) in 1991. After the monopoly years it became part of an oligopoly. Finally with the advent of the digital computer, totalisators became just another application of computing and the business became openly competitive. I worked on Automatic Totalisators' first sell pay computer totalizator system. The predecessors were all sell only including the computer totes. This computer based system was installed in Brisbane and superseded electromechanical totalizators which were descendants of the original invention. I was impressed by the craftsmanship and the ingenuity of these old systems, parts of which dated back to circa 1926. I saw one of these totalizator systems bulldozed and realised that this history could easily be lost. Along with peers I started to save shaft adders from the oldest totalizator which was at Ipswich. The shaft adders are analogous to part of the central processing unit in modern day terminology. I found considerable interest in these shaft adders by Museums and Educational Institutions resulting in many donations. Professor Trevor Cole from Sydney University, accepting a shaft adder donation prior to the advent of the Internet, remarked that he had seen a model of Babbage's analytical engine and that the shaft adder reminded him of it. This consolidated my impression that these electro mechanical totalisator systems represented a technology that led to the invention of the computer. It is debatable whether these early electromechanical totalisators should be considered computers, due to technicalities such as the category of mechanical computing never having been established, however it is highly probable that they were the first large scale, real time, multi user systems, which are concepts that had to wait for the advent of the digital computer to become commonplace jargon. I noticed in a text relating to the Ellerslie Julius tote by Prof Bob Doran, that George Julius himself referred to a shaft adder as a computer. This of course predated our contemporary view of a computer which went through a transformation with the advent of the digital computer. Interestingly I heard a radio discussion where one of the participants indicated there was a time when some people were regarded as computers and you could get a job as a computer. "This book was written because memories grow dim and records tend to disappear. As Julius Poole & Gibson is the longest established Australian consulting engineering practice there seemed to be a duty to produce a historical record before it was too late." I have included information on the Brisbane Project as one of the Company's later achievements. By 1978 the Company was struggling with applying its monopoly oriented culture to the new world of competition. The Brisbane Project existed in the shadow of a much larger project, Sha Tin in Hong Kong. When this failed, due to inability to deliver on time, the company's future depended on the Brisbane Project's success. Our brief became simple, "Brisbane must work". I consider myself privileged to have worked with the small group of selfless devotees who moulded another potential failure into success. Having mentioned the failure of the Sha Tin project, I will add that at the time of the failure, an Automatic Totalisators' computer tote system had been working at the Royal Hong Kong Jockey Club's Happy Valley track for a decade. This system was PDP8 based and supported 550 individual selling points. I recall my first experience with the "Nation stopping for a horse race" mentioned above. I came to Sydney in 1964 from Hong Kong to attend boarding school. School life was structured and disciplined and education was a serious matter. It was with some suspicion of being the object of a practical joke, that I listened to the other students telling me that in the afternoon the teacher would stop and we would be allowed to listen to the radio broadcast of the Melbourne cup. I was introduced to the concept of a sweep, which further contributed to my suspicions that this was a joke. I was later informed that I had been allotted Polo Prince and that this had been the last horse drawn from the hat and that it had next to no chance of winning. At this point I felt disadvantaged by not being fully initiated in these Australian customs. I was astonished when I found that what I had been told was correct. I started to listen to my first horse race and the next thing I knew "They were off". A person was talking in a quick constant manner. As the race continued, the pace increased along with the excitement level. The words "Polo Prince" appeared more and more and I thought that this is probably good. The excitement built to a crescendo, then the broadcast returned to normal. It was later confirmed, Polo Prince had won. Mark Twain was also impressed by this phenomenon having made the following comment after seeing the Melbourne Cup in 1895. Nowhere in the world have I encountered a festival of people that has such a magnificent appeal to the whole nation. The Cup astonishes me. The first year that an Automatic Totalisators system operated at Flemington on the Melbourne Cup was 1931. Totalisator betting was illegal in Victoria prior to 1931. January 2016 - Addition of two images titled Caracas control room Ticket Counter console and An Image of staff showing J8s to the Caracas, a latterday Julius tote installation chapter, with associated text. January 2016 - Addition of a postscript regarding Sir Henry Parkes, to the Memories of the factory chapter, in the second paragraph below the image of the factory. January 2016 - Addition of ticket images and associated text for Wembley, White City, Harold's Cross, Sherbourne Park and Cork from Chris Robertson, to the Tote Topics chapter and the fourth page of the Bygone World's Largest Totes chapter. January 2016 - Addition of an image of my first boss at ATL Ron Hood training two Iraqi engineers in the installation department at Meadowbank, along with associated information from Neville Mitchell, to the Memories of the factory continued chapter. January 2016 - Addition of a comment by Greg Davis, to the Memories of the factory below the image of the foyer regarding the pending demolition of the ex ATL Meadowbank factory. January 2016 - Addition of an extract from Racetrack magazine, to the second page of the Bygone World's Largest Totes chapter as well as the first image file of the Ellerslie Racecourse New Zealand 1913 section of the Photo Gallery + Synchronicity chapter. February 2016 - Addition of examples of totalisator tickets from ATL systems, purchased by Chris Robertson in his travels around the planet, in varied pages as follows: The third page in the Bygone World's Largest Totes Chapter titled The World's Biggest Tote 1933 White City Stadium London plus the Tote Topics chapter under the heading Some Listed Installations , plus to the second and third and fourth pages of the Memories of an Ops Manager and Harold Park chapter, plus some images in the photo gallery as follows: In two image pages under the heading Queensland Racecourses with starting text The Doomben Main Tote House and The Albion Park Main Tote House and another under the heading Morphettville, South Australian Jockey Club 1921 with starting text This is an image of the main tote house and another under the heading Harold Park Harness racing Track with starting text An unusual image of Harold Park. Additionally, Chris' tickets added to the Tote Topics chapter as follows: tickets from Mariendorf Berlin under the heading Bahrenfeld Germany - Quarterly Magazine July 1979 tickets from South Africa under the heading The Durban Turf Club - Tote Topics Winter 1978 under the sub heading The Winter Season , and tickets from Singapore under the heading More of the Singapore Tuf Club (Extracts from Tote Topics Winter 1978) and Tickets from Seoul under the heading Some Listed Installations and sub heading Argentina . Additionally tickets from Belmont in the Automatic Totalisators in America chapter under the heading ATL international name in totalizator betting systems and sub heading Saratoga and Belmont Park. Addition of the Hong Kong ticket to the Tote Topics chapter under the heading happy with ATL at Happy Valley. February 2016 - Addition of information on the Ipoh and Penang projects including an image of Ron Hood, as well as images of the Ipoh and Penang totes from Lachie Macdonald and tote tickets from Chris Robertson as well as extracts from Tote Topics magazine regarding The Perak Tuff Club and The Penang Tuf Club as well as an image of a large Penang tote house with J8 tickets machines as well as Peter Rolls' eulogy to the 3 more ATL systems in Asia/Links to other pages chapter. February 2016 - Addition of a Royal Turf Club of Thailand tote ticket from Chris Robertson to the Tote Topics chapter near the bottom of the page under the heading The Royal Tuf Club of Thailand . February 2016 - Addition of a section titled Baghdad - Al Furusua Club - Al Mansur to the Memories of the factory continued chapter from Rex Turner. March 2016 - Addition of a paragraph containing an anecdote from Dermot Elworthy, George Julius' great nephew, regarding a prank at Canterbury College, where George Julius was a student, to the George Julius Genealogy and other latterday interest chapter, in the second paragraph below the image of Canterbury College, under the heading New Zealand Holiday 2007 . March 2016 - Addition of ticket images and ATL Lamp Indicator brochure with associated text, from Chris Robertson, to the Melbourne Cup chapter. March 2016 - Addition of Keith Dodwell's full Obituary written by Mari Dodwell, after she provided approval for it to be presented on this website, to the Caracas, a latterday Julius tote installation chapter. March 2016 - Addition of J8 and J11 ATL brochures provided by Chris Robertson, to the Photo Gallery Continued chapter. April 2016 - Addition of five ATL brochures provided by Chris Robertson, to the Photo Gallery+Synchronicity chapter under the heading in the table Images of ATL company brochures donated by Chris Robertson . April 2016 - Addition of extracts from a document sent to me by Mike Bell titled The PREMIER (JULIUS) AUTOMATIC TOTALISATOR , to images in the Photo Gallery + Synchronicity chapter, with the associated texts starting The Tote House at the Ellerslie Racecourse... and Western Australian Trotting Association's Tote Building... and Longchamps Racecourse France circa 1929... and Ceylon Turf Club Colombo... and A close up view of the Longchamps pavilion. and The type of Julius Tote Ticket Issuing Machine used at Randwick Racecourse in Sydney. 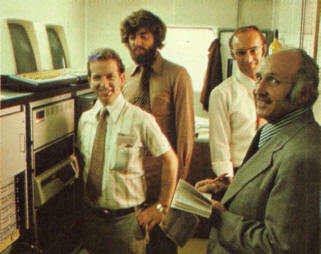 and An image of one of the 273 J5 Ticket Issuing Machines at Longchamps and This image shows an early large system adder and The world's first Odds Computer... Finally there is one more extract in the second page of the photo gallery chapter titled Photo Gallery Continued , under the heading Ticket Issuing Machines (TIMs) with the associated text starting The type of TIM in use at Randwick Racecourse in 1927. April 2016 - Addition of Norm Noble's farewell Turnstile to the Memories of the Factory chapter under the heading Memories of Norm Noble unrelated to turnstiles near the bottom of the page. April 2016 - Addition of a curious static chain to the Memories of the factory continued chapter under the heading Factory Memories from Rod Richards near the bottom of the page. May 2016 - Made every Webpage in this Website, 119 of them, all Search Engine friendly as well as Mobile friendly. May 2016 - Addition of a Trove newspaper article relating to Sir George Julius titled How the Automatic Totalisator was invented to the Mechanical Aids to Calculation chapter. May 2016 - Addition of extracts from the above Trove newspaper article to Photo Gallery image files in the Photo Gallery+Synchronicity chapter in the Miscellaneous Images section with starting text This is a page extracted from a company document... and also in the Photo Gallery continued chapter in the Early Factory Images section with starting text An early workshop photograph... , another further down the page with starting text An Automatic Totalisators machine shop... Then in the Ticket Issuing Machines (TIMs) section, with starting text The inside of a J1 ticket issuing machine... and below that The outside of a J1 ticket issuing machine... Finally I have included a comment from Sir George in this article where he states he knew Lord Rutherford in the George Julius Genealogy and other latterday interest chapter, under the heading New Zealand Holiday 2007. October 2016 - Addition of section titled Germany and Britain Holiday 2016 to the George Julius Genealogy and other latterday interest chapter. October 2016 - Addition of section titled A visit to Germany and Hungary to the 3 more ATL systems in Asia/Links to other pages chapter. October 2016 - Addition of section titled Mariendorf Trabrennbahn Germany - Autotote System to the Tote Topics chapter. October 2016 - Addition of section titled Bob Rowe's email to The end of an era - Harringay chapter. December 2016 - Addition of extracts from a Referee newspaper article titled THE TOTALISATOR WHICH ENSURES INSTANTANEOUS REGISTRATION to the first, third and fourth image pages selectable in the Photo Gallery + synchronicity chapter. December 2016 - Addition of extracts from an article in The West Australian newspaper in 1915 titled THE TOTALISATOR with subtitle Most Modern Machine in Australia, to the two J1 image pages accessible via the Photo Gallery + synchronicity chapter by selecting the first and second image thumbnails in the Ticket Issuing Machines (TIM) section. An image of a J1 with its covers on and access doors shut has been added to the first of these image pages. December 2016 - Addition of section titled Victoria Park Racecourse to the George Julius Genealogy and other latterday interest chapter. January 2017 - Creation of a new chapter titled New era the Electronic Totes and the addition of two new images from Bob Plemel, of the Happy Valley PDP8 system as well as the Happy Valley TCC (Tote Control Console), both in the Meadowbank factory. It also has three articles from Tote Topics magazines relating to the Electronic Totalisators. January 2017 - Addition of a Tote Topics article regarding the Toolmaking Division to the Memories of the penultimate Factory during WWII chapter, as well as a 1945 newspaper advertisement for this Division and an extract from a company document titled Automatic Totalisators Limited Toolroom. January 2017 - Addition of a comment from Rod Richards, ex ATL engineer, about driving an ATL Totemobile from Sydney to Adelaide and Australian Driving Licences in 1950 to the Julius Premier Totemobile chapter. January 2017 - Addition of comments by Rex Turner, ex ATL project engineer, to the Tote Topics chapter, under the headings Philippines (Extract from ATL booklet The Computer Tote 1974) and Turffontein - Extracts from Tote Topics Autumn 1978 . February 2017 - Addition of information on Frederick Augustus Wilkinson, who developed an electromechanical TIM with George Julius and worked for ATL for 30 years, to the chapter titled The Earliest Automatic Totalisators Factory Staff Photo about the Alice Street Newtown factory which follows the chapter on the Chalmers street factory titled The penultimate Factory WW2 and The Toolroom . February 2017 - Addition of a comment by Dermot Elworthy about the ATL Toolmaking Division to the The penultimate Factory WW2 and The Toolroom chapter. February 2017 - Addition of a comment from Rod Richards regarding the Randall Park project to The Earliest Automatic Totalisators Factory Staff Photo as Randall Park is mentioned in one of the newspaper articles on this page. This file follows the chapter on the Chalmers street factory titled The penultimate Factory WW2 and The Toolroom . February 2017 - Addition of a an anecdote regarding Pat and Dale Oxtoby and Narelle and Brian Conlon who attended the Brisbane Project 20 year reunion, reminiscing about the reunion unaware at the time that it was 20 years after the reunion, to ATL the Brisbane Project chapter. March 2017 - Addition of a 1946 Trove newspaper article from the Western Mail newspaper titled IDEA THAT PAID DIVIDENDS to the image page in the photo gallery accessible from the Photo Gallery+Synchronicity chapter, by selecting the thumbnail under the heading Gloucester Park Trotting Track Western Australia . March 2017 - Addition of a second comment by Chris Robertson about the NYRA project to the Automatic Totalisators in America chapter. March 2017 - Addition of a comment by Kevin Shaw from the Ryde Historical Society regarding the demolition of the ATL Meadowbank factory to the Sir George Julius chapter and The punultimate Factory WW2 and The Toolroom chapter. April 2017 - Addition of information on the Randwick 1917 Julius tote after discovering that the Randwick system was the first of the electromechanical systems. Additionally I discovered that the Randwick system did not have distributors although they were developed shortly after. I have also discovered that the ornate large adder in the Photo Gallery does not belong to the Randwick system but was a demonstration adder used for George's 1920 white paper presentation and demonstration to the Institution of Engineers Australia and that this worked with scanners. The modified pages are the three pages of the Photo Gallery in the Photo Gallery+Synchronicity chapter under the heading Julius Tote equipment used at a Sydney Racetrack. April 2017 - Addition of information on, and improvements to, descriptions of the Julius Tote Storage Screws. The pages modified are in the Photo Gallery. Firstly the ones accessible from the Photo Gallery+synchronicity chapter, are the image in the Longchamps Paris 1928 section, which has the associated text starting One of the many electromechanical shaft adders at Longchamps and two images in the Western India Turf Club Bombay section which has the associated text starting The Western India Turf Club Julius Runner Adder and display unit back view and the following image with associated text starting The Western India Turf Club Julius Runner Adder and display unit front view . The other modified image pages are in the Photo Gallery Continued chapter, under the heading Brough Park Newcastle Upon Tyne with the associated text starting with One of the many adders in the central processing system, to be installed at Brough Park and another under the heading Figures from George Julius' paper presented to the Institution of Engineers Australia with the starting text The images in this section are for the technically minded. April 2017 - Addition of an image of the shaft adder used in the 1920 white paper presentation and demonstration of a totalisator system to the Institution of Engineers Australia in the Mechanical Aids to Calculation chapter, as well as addition of additional information from George's paper resulting in the conglomeration of three extracts from the paper into one bigger one. April 2017 - Addition of an article titled Latest tote equipment could revolutionise course betting from Turf Monthly magazine to the New era the Electronic Totes chapter. May 2017 - Addition of a new page relating to the 1917 Randwick Julius Totalisator. It is the first page in the Bygone World's Largest Totes chapter. May-June 2017 - Addition of multiple comments from Frank Matthews who was the last senior partner of George Julius' engineering consulting company Julius Poole & Gibson. These comments have been added to the Photo Gallery + Synchronicity chapter, the Sir George Julius chapter and The Shaft Adder in the Image chapter. June 2017 - Addition of a section from the book Julius Poole & Gibson The First Eighty Years to The Shaft Adder in the Image chapter relating to Roger Gibson, as a result of one of Frank Matthews comments in the previous entry. August 2017 - Addition of information to the two Singapore pages in the Photo Gallery + Synchronicity chapter. September 2017 - Rearranged chapters to include two new sections called Thirdly which needs no explanation and Supercentury which includes chapters on the Julius totalisators that have had a century elapse since they commenced operation. The pages in the new Supercentury chapter used to be solely in the photo gallery. They include the first automatic Totalisator at Ellerslie, the second at Gloucespter Park, the third at Eagle Farm and the fourth at Randwick. All these pages have received significant additional information since they were only in the Photo Gallery chapters, except Eagle Farm which I have yet to upgrade. October 2017 - Added an image of page 10 from the Automatic Totalisators Limited booklet Straight Betting to the The Second Automatic Totalisator-Gloucester Park and the The Third Automatic Totalisator-Eagle Farm chapters in the Supercentury installations section of the website index, as well as the image file in the Photo Gallery + Synchronicity chapter, under the heading Morphettville, South Australian Jockey Club 1921 . October 2017 - Added an image of page 2 from the Automatic Totalisators Limited booklet Straight Betting to the The Fourth Automatic Totalisator-Randwick chapter in the Supercentury installations section of the index as well as the Photo Gallery+Synchronicity chapter in the Randwick Racecourse Sydney New South Wales section of the Photo Gallery index, accessible via the thumbnail with descriptive text starting The type of Julius Tote Ticket Issuing Machine used at Randwick Racecourse... .
October 2017 - Added a Trove newspaper article on the acquisition of the land on which the final Automatic Totalisators Limited was built in Meadowbank, to the Memories of the final factory chapter in the Secondly section. February 2018 - Added four images and updated two with higher resolution versions as well as adding some additional text received from Rod Richards, to The shaft adder in the image chapter in the Firstly section under the heading Rod Richards' additional information . April 2018 - Added an image of another PDP8 system being developed in the factory along with information from Ray Stone to the New era the Electronic Totes chapter in the Finally section under the heading Ray Stone and another view of a PDP8 Tote . April 2018 - Added an image of a Motor Truck type of portable totalisator with associated text to a page in the Photo Gallery + Synchronicity chapter in the Finally section. Once in the Photo Gallery page scroll down in the index table to the heading Miscellaneous Images and then scroll down further to and select the image thumbnail with text starting with The world's first Odds Computer. The new entry is about half way down the page. April 2018 - Added the image titled Aerial View Alice Street factory post ATL with associated text as well as a new final paragraph, to the The first factory Alice St Newtown chapter in the Thirdly section. April 2018 - Added an image titled Figures 27 through 30 Page 16 with associated text extracted from the company document The PREMIER (JULIUS) AUTOMATIC TOTALISATOR as well as comments about it, to a page in the Photo Gallery + Synchronicity chapter in the Finally section. Once in the Photo Gallery page scroll down in the index table to the heading Miscellaneous Images and then scroll down further to and select the image thumbnail with text starting with The world's first Odds Computer. The new entry is near the bottom of the page. May 2018 - Added an image titled Aerial View Alice Street factory post ATL with associated text to several pages in the Photo Gallery continued chapter in the Finally section of the index. Once in the Photo Gallery Continued page scroll down in the index table to the heading Early Factory Images and then scroll down further to and select the image thumbnails with the following starting texts The earliest factory staff photograph I have and An early workshop photograph inside the Alice Street Newtown factory and An image of the capacitor manufacture assembly line in the Alice Street Newtown factory and Another image of a Workshop in the Alice Street Automatic Totalisators Limited factory. May 2018 - Along with the previous update, several pages in the Alice Street related section of the photo gallery have had references to a mystery visitor to the Alice Street factory I have nicknamed ATMOM (Automatic Totalisators Man Of Mystery) embellished and in some cases extended. One major extension can be found in the Photo Gallery continued chapter in the Finally section of the index. Once in the Photo Gallery Continued page scroll down in the index table to the heading Early Factory Images and then scroll down further to and select the image thumbnail with the following starting text Another image of a Workshop in the Alice Street Automatic Totalisators Limited factory in which ATMOM appears. This addition speculates that ATMOM might be John Curtin, arguably Australia's greatest Prime Minister. Regardless of whether ATMOM is or is not John Curtin, it provides a contrary view of the Racing and Betting industry within the context of World War 2. May 2018 - Added extracts from two emails from David and Brian, two people interested in the history of Automatic Totalisators Limited, relating that they had grandparents who lived on Alice Street Newtown where Automatic Totalisators Limited had its first factory. These can be found in one of the pages in the Photo Gallery continued chapter in the Finally section of the index. Once in the Photo Gallery Continued page scroll down in the index table to the heading Early Factory Images and then scroll down further to and select the image thumbnail with the following starting text This photograph is labelled First Workshop ATL which looks like a machine shop . Then scroll down to the paragraph starting with the sentence The number of coincidences relating to this history are uncanny. May 2018 - Addition of a couple of coincidences to the Synchronicity Continued section in the Photo Gallery continued chapter in the Finally section of the index. Once in the Photo Gallery Continued page scroll down below the index table to the heading Synchronicity Continued then scroll down further to the paragraph starting with On the previously mentioned subject that totalisator history will not be able to find me here in Toowoomba , which is below the image titled Sir George Julius's 60 birthday greeting scene of Toowoomba Range. May 2018 - Addition of an image of the Totemobile that Rod Richards drove from the Meadowbank Factory to Adelaide plus additional text to the Julius Premier Totemobile chapter. June 2018 - Addition of information to the first two image pages which are accessible via the Early Factory Images section of the Photo Gallery continued chapter about the fact that these two photographs were taken in the same building and actually overlap each other. To read the details, click on the first two image thumbnails in the Early Factory Images section. June 2018 - Addition of a segment titled A Visit to the Ipswich Racing Museum to the George Julius Genealogy and other latterday interest chapter. August 2018 - Addition of a couple of paragraphs regarding a return visit to Alice Street Newtown, to the The first factory Alice St Newtown chapter in the Thirdly section of the index. Scroll down past the aerial view image of the factory to the paragraph starting with In August 2018, after attending a 50th year school reunion , which is the start of the first of the two paragraphs. August 2018 - Addition of a comment regarding having noticed there is a Peter Johnson Building in the UTS (University of Technology Sydney) campus in Harris street, to the Sir George Julius chapter in the Firstly section of the index. August 2018 - Addition of a coincidence regarding lunch with the Principal Curator of the Powerhouse Museum involving coffee in the Dr Chau Chak Wing Building and the Chau Chak Wing museum at Sydney University, to one of the pages in the Photo Gallery continued chapter in the Finally section of the index. Scroll down in the gallery index to the heading Early Factory Images and select the thumbnail below with the associated text starting with This photograph is labelled First Workshop ATL. The comment consists of the last paragraph in this page starting with the text Having mentioned the Chau Chak Wing Museum at Sydney University. August 2018 - Addition of a comment regarding the General Electric Company and Tomas Edison to one of the pages in the second part of the Photo Gallery relating to the J6 TIM. Select the Photo Gallery continued chapter in the Finally section of the index, then scroll down in the gallery index to the heading Ticket Issuing Machines (TIMs) and select the thumbnail below with the associated text starting with The inside of a J6 Ticket Issuing Machine 1935. The comment is in the second paragraph below the image and the following paragraph has been added. August 2018 - Addition of extracts from a company document titled Automatic Totalisators Limited Description of Electrical Circuit Diagrams to the Eagle Farm Racecourse Museum chapter, in the Posthumously section of the index under the heading Additional Information near the bottom of the page. September 2018 - Addition of relevant extracts from a company document titled Automatic Totalisators Limited Description of Electrical Circuit Diagrams relating to an old Julius Tote Race Day Control Console or RDC to a page in the Photo Gallery of this website accessible by selecting the Photo Gallery + Synchronicity chapter, in the Finally section of the main index above and scroll down to the heading Harold Park Harness Racing Track in the photo gallery index, then select the image thumbnail below of the RDC with the associated text starting with the sentence A Raceday Control Console at Harold Park 1958. October 2018 - Addition of technical information on the Julius Totes from EProf Bob Doran. I have included the whole text from the document mentioned above titled Automatic Totalisators Limited Description of Electrical Circuit Diagrams as well as a couple of blueprint engineering drawings, all of which Bob photographed during his research of the Julius Tote I informed him of at Riccarton Racecourse, in a newly created page in the Photo Gallery in this website. This is accessible by selecting the Photo Gallery continued chapter, in the Finally section of the main index above and scroll down to the heading Figures from George Julius' White Paper 1920 and a Julius Tote Engineering Drawing in the photo gallery index, then select the image thumbnail below of the blueprint drawing with the associated text starting with the sentence This is a technical drawing showing Julius Tote interconnections . A subset of the information in the new page, which relates to the Ticket Issuing Machines, has been added to an existing page in the Photo Gallery of this website relating to the J8 TIM. In the same Photo Gallery page as before, scroll further down to the heading Ticket Issuing Machines (TIMs) in the photo gallery index, then select the image thumbnail below of the J8 TIM, with the associated text starting with The J8. This TIM could be called iconic or famous . Another subset of the information in the new page, which relates to the Scanners, has been added to an existing page in the Photo Gallery of this website relating to the Scanners or front end system of the White City Julius Tote in London. In the same Photo Gallery page as before, scroll up from your last position in the Photo Gallery index, or down from the top of the index to the heading starting with the text White City Stadium London 1933 - in the photo gallery index, then select the image thumbnail below, with the associated text starting with A close up view of some of the scanners . A third subset of the information in the new page, which relates to the Adders, has been added to an existing page in the Photo Gallery of this website relating to a three shaft adder. This is accessible by selecting the Photo Gallery + Synchronicity chapter, in the Finally section of the main index above and scroll down to the heading Miscellaneous Images in the photo gallery index, then select the image thumbnail below of a three shaft adder with the associated text starting with the sentence A three shaft adder viewed from the escapement end. February 2019 - Addition of a new chapter, which consists of the pages described in the last entry, to the Thirdly section of the main index titled Prof Bob Doran's 1935 ATL Technical Julius Tote Documents. March 2019 - Addition of an image of the ATL Diamond Logo on the side of the new ATL House that stands on the site of the old Automatic Totalisators Limited factory along with an explanation, to the George Julius Genealogy and other latterday interest chapter under the heading A Visit to the Old ATL Meadowbank Factory Site . April 2019 - Addition of an anecdote from Peter Nelson regarding Alf Schoffel, who worked for Automatic Totalisators in Sydney and went to Melbourne working on an installation there and remained in Melbourne through an interesting set of circumstances, to the Video clips of a working Julius tote chapter under the heading One Manpower Backup. Information has been extracted from Automatic Totalisators company magazines and documents. Thanks to Max Anderson, Frank Matthews and Max Sherrard, for allowing me to quote from the book From Tote to Cad published by Julius Poole & Gibson. Thanks to Peter Collier for bringing the New Scientist article mentioned above to my attention. Thanks to Crames Studios--3D Animations and Graphics for the Australian flag. Their website URL was http://www.weare3d.com which is a dead link now. Thanks to my 11 year old son (1997) who was a great help with the typing, the html and the images.